Hippity Hoppity Easter’s on it’s way! 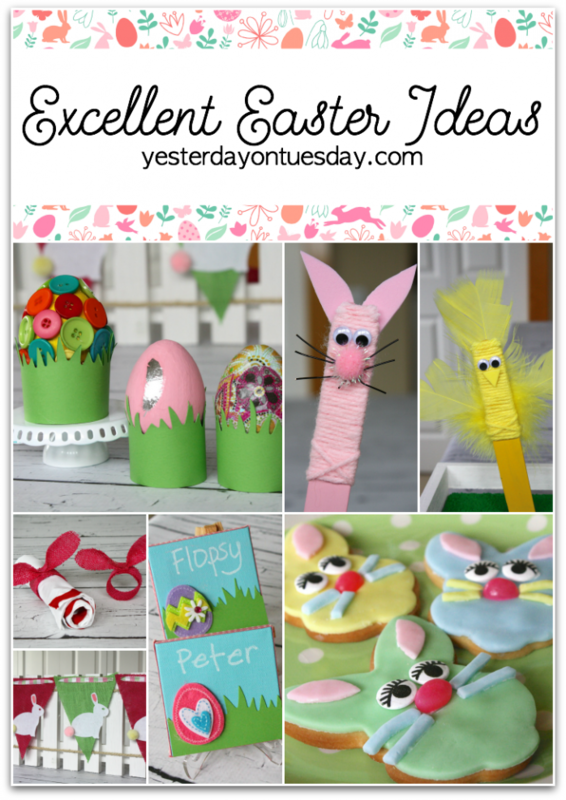 Here are some Excellent Easter Ideas for dressing up your table as well as some crafty ideas for the kiddos. Supplies: 1 sheet of green burlap and 2 sheets of pink burp, one sheet of white felt, pink ribbon tape, five pom poms and ribbon for stringing banner up. You’ll also need hot glue and scissors. All craft supplies from Ben Franklin Crafts and Frames in Redmond. 1. Using die cut machine at Ben Franklin Crafts and Frames in Redmond, die cut two green pennants and three pink pennants. 2. Using die cut machine at Ben Franklin Crafts and Frames in Redmond, die cut five bunnies. 3. 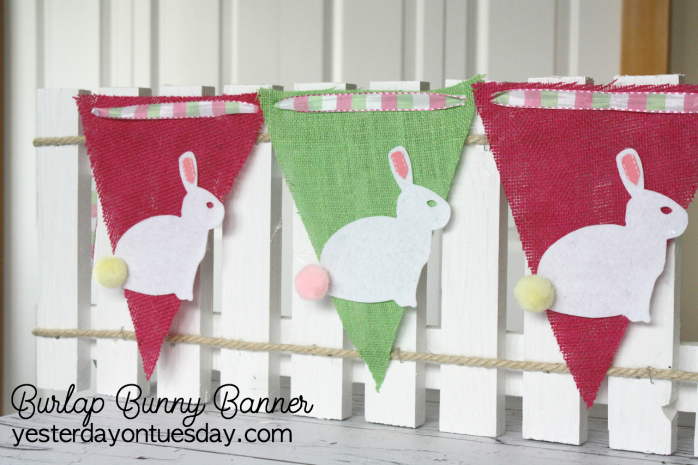 Glue a bunny on each pennant. 4. Glue a tail on each bunny. 5. 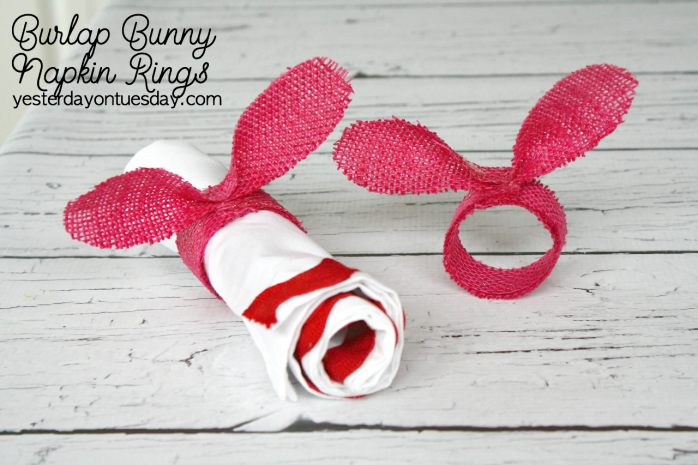 Cut the ribbon tape (using the photos as a guide) to make the pink part of the bunny’s ear. 6. String the ribbon through the holes in the banner. Supplies: 1 sheet of pink burlap, scissors, hot glue and a ruler. You’ll also need a toilet paper roll. All craft supplies from Ben Franklin Crafts and Frames in Redmond. 1. 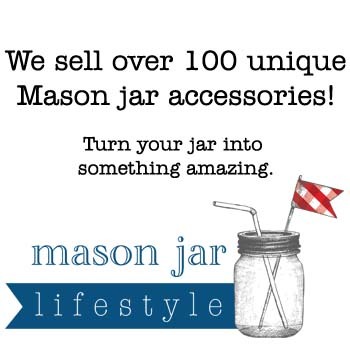 Cut two strips of burlap, each of them 1″ wide and 6″ long. 2. Cut a piece of cardboard just under 1″ wide. 4. 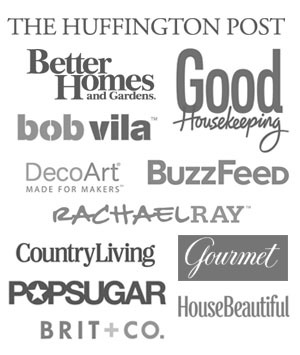 Glue a piece of burlap on either side of the cardboard toilet paper roll. 5. Pinch the burlap “8” shape together to make the ears and glue in on top of the roll. 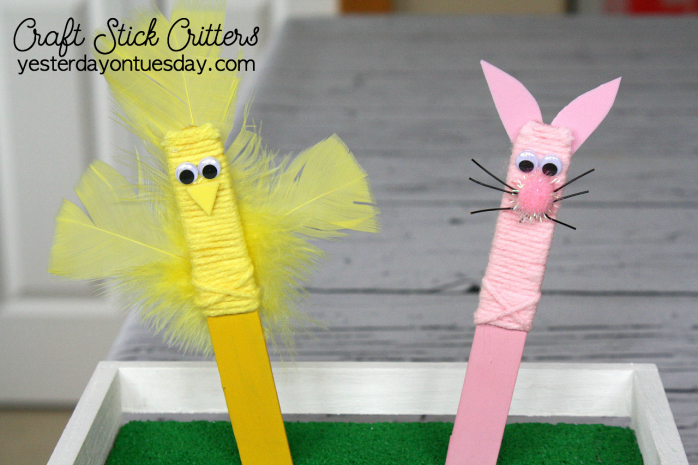 Supplies: Large craft stick, craft paint (we used DecoArt Americana in Bright Yellow and Delta Ceramcoat in Lisa Pink), small google eyes, yellow yarn, pink yarn, yellow feathers (ours are from Touch of Nature), hot glue, yellow craft foam or pink pom pom and black wire. 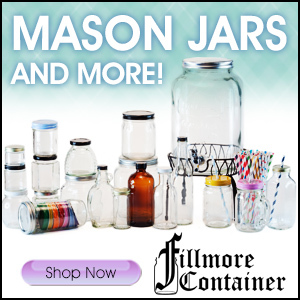 All craft supplies from Ben Franklin Crafts and Frames in Redmond. 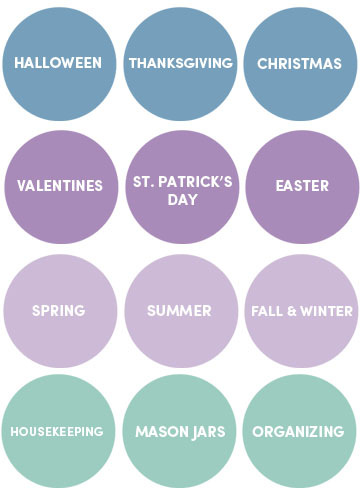 1: Paint the Large craft stick, wooden clothespin or small craft stick yellow or pink and let it dry. 2. Glue feathers to the back (if making bird). 5. Glue on craft foam beak or pink pom pom and black wires. Supplies: Wilton Bunny Cookie Cutter, Wilton Fondant, candy eyes, and pink jellybeans for the nose. All craft supplies from Ben Franklin Crafts and Frames in Redmond. 1. 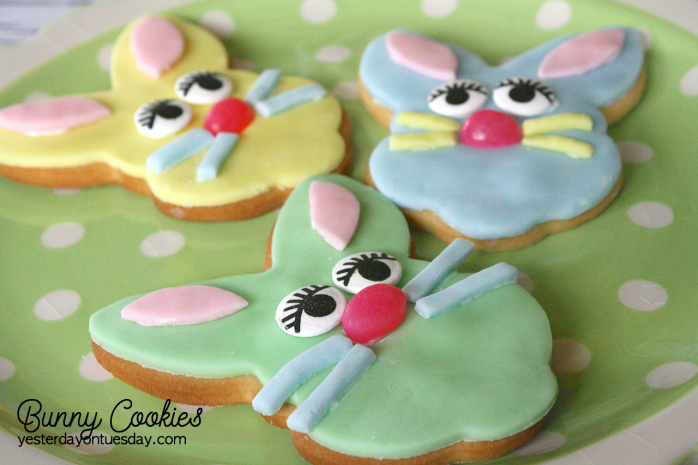 Make sugar cookies and cut out with bunny cookie cutter. 2. Use the same cookie cutter to cut fondant. Place fondant on cookie. 3. Add eyes, nose and cut fondant in contrasting colors for bunny ears and whiskers. Supplies for Egg #1: cardboard eggs, buttons, hot glue. All craft supplies from Ben Franklin Crafts and Frames in Redmond. Directions: Paint cardboard egg, glue buttons on using hot glue. Supplies for Egg #2: cardboard egg, temporary tattoo. All craft supplies from Ben Franklin Crafts and Frames in Redmond. Directions: paint egg and following package directions, apply temporary tattoo. Supplies for Egg #3: cardboard egg, DecoPatch paper, and Fast Finish . All craft supplies from Ben Franklin Crafts and Frames in Redmond. 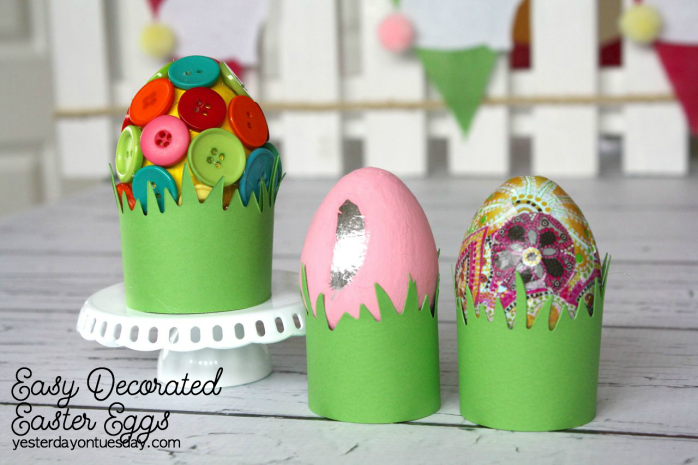 Directions: paint egg, cut shapes out of paper, apply Fast Finish on top of paper and egg. 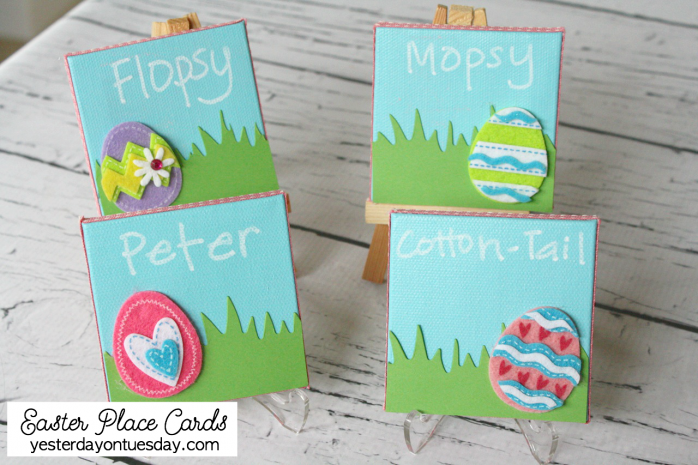 Supplies: mini canvases, Martha Stewart Chalkboard Paint in Blue, grass paper die cut (buy the paper and go to the die cut center to make grass), egg stickers, adhesive ribbon, chalk pen and hot glue. 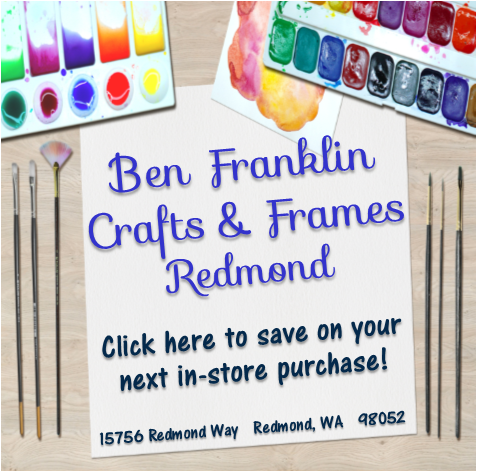 All craft supplies from Ben Franklin Crafts and Frames in Redmond. 1. Paint canvases with chalkboard paint. It will take a few coats. 3. Glue paper grass on canvas. 3. Apply adhesive ribbon around canvas. 4. Add an egg sticker. These are all so cute, Malia! I was going to try to pick a favorite but I can’t.